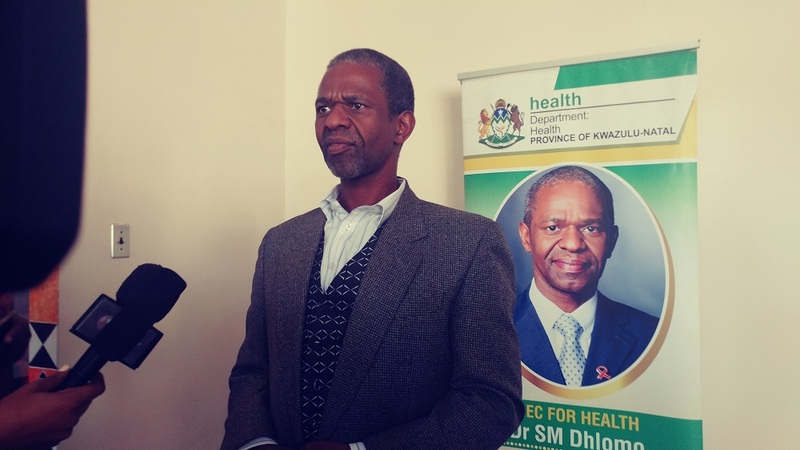 On Monday, 26 March, the KwaZulu-Natal member of the executive council (MEC) for health Dr Sibongiseni Dhlomo held a prayer meeting in Addington Hospital, Durban, in remembrance of all healthcare workers who died tragically from different causes in the past few years. The prayer which was held at the hospitalâ€™s centenary nursing hall comes after doctors requested for a divine intervention to help them get through tragedies of the loss of their colleagues to different causes. Dr Dhlomo said that the purpose of the prayer meeting was to uplift healthcare workers and help them get through the devastation of losing some of their co-workers. He said that doctors were dying at a young age and those are the doctors whose families rely heavily on them, especially those studying in Cuba. â€œIn the past few years we have lost a number of doctors and nurses in a tragic way and therefore we are here today gathering with all religious leaders to pray and support and say maybe, if this were to come again, we must be strong and stand up against it,â€ he said. In 2017 alone, the Cuban exchange programme was marred by tragic events following the death of two final year medical students, Sihle Cebo Makhaye and Sihle Thanks Ngeleka, who died in a drowning incident during a house party in Cuba. This tragic incident followed that of a student who lost their life, allegedly due to suicide. According to Reverend Sibusiso Shangase, healthcare workers are not fit enough to take spiritual pain since they are only trained to deal with physical pain, and the prayer would help them to heal from the traumas they have gone through while on duty. â€œThe idea of this meeting came from the doctors who felt that they can’t erase the tragedy of their colleagues who have passed away. They requested for the MEC to call on all religious leaders to come, pray, and help them get over the trauma that’s incubated in them,â€ he said. Shangase also pointed out that people who were eligible for the Cuban exchange programme were those from disadvantaged backgrounds, which has implications on the family’s socio-economic status in the future when they finish studying. â€œWe’ve noticed common characteristics and trends that when these students complete their studies, they don’t live for long and they die of unnatural causes, mostly car accidents. So we are here to encourage people be vigilant on the roads. â€œWe are also here to tell the doctors that they are needed by their families, the department, and the whole community. Today’s gathering is about inspiration, motivation, and edification,â€ Shangase said.